As a bass angler, I find that locating the perfect fishing spots are both an art and a science. The definition of art is a skill at doing a specified thing, typically one acquired through practice. Science is just as much a part by its definition as the intellectual and practical activity encompassing the systematic study of the structure and behavior of the physical and natural world through observation and experimentation. One of the most difficult questions to get a straight answer to and most asked question of any professional angler is how do you find fish on a body of water? Most answers are usually vague at best, if you get an answer at all. Fishing can be an extremely competitive sport that is full of secrets and social clicks. Although competition is fierce, fishing pressure is even more fierce. This is were good scouting an knowledge comes into play. If I want to make quick work in finding productive fish, I start with a full study of topographic maps. Navionics has detailed maps that give me down to one foot contours. When you are looking for underwater structure, such as saddles, flats and humps, it is invaluable I know where to start. I view these maps on several sources to include your web browser on the Navionics web site Chart Viewer on my computer. I also study using their app on my tablet and phone not to mention my favorite Lowrance HDS Carbon. There are many marine electronics manufactures that support Navionics mapping cards. Pick your favorite. The Chart Viewer site gives me several basic options to include satellite and terrain overlay as well as safety depth shading up to 60 feet. For bass fishing, safety depth is not as big of an issue as it would be for some larger boat configurations. That said, it is invaluable if you need it. Other settings display units in various measurements and the notable “Community Edits”. These are all available on Navionics mobile apps as well. Navionics mobile apps, on the other hand, give me many added features in my scouting quest. It gives me the advantage of scouting on the go, anywhere, on my time. No water needed and the app itself is free. 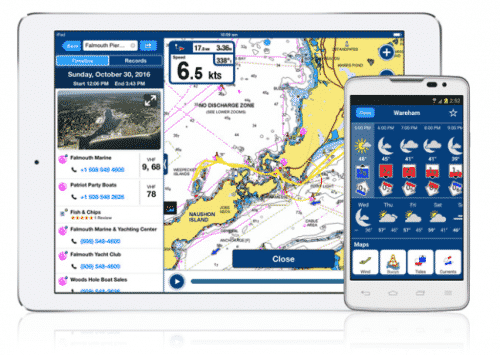 With a Navionics+ subscription, it includes downloads of Nautical Chart, SonarChart™, and Community Edits that stays on the phone or tablet even if the subscription expires. There is also the ability to get daily chart updates, Dock-to-dock Autorouting, Navigation Module, Advanced Map Options, Plotter Sync, Weather & Tides. One nice feature, unfortunately only on iPhone/iPad, is Timeline. When planning to pre-fish for a tournament, I like to know all the details about the elements. With the Navionics app, I can get detailed weather forecasts and weather buoy data. I can see hourly and daily forecasts, wind conditions, tides, currents, temperature, air pressure, visibility, precipitation and sun/moon cycles. Depending on the particular lake and time of year, this can very well be a life saver. With such a vast list of features, the two I use most are the daily updates and plotter sync while out scouting. There is no substitute for time on the water. You need time to perfect your use and knowledge of using your electronics with your Navionics maps. You also need time on the water to practice locating fish utilizing your knowledge of structure and cover. All the reading and studying of maps can not substitute for hard work and persistence. Daily updates allow me to get the latest community edits showing me where other fish have been located. With this detail, I can look at my Navionics app and determine what structure fish may be holding on at a particular time of year and what depth range to start with. Fishing a new lake can be frustrating without some historical knowledge. Community edits provide some sense of where to begin. Once I determine some of the best places to start my search, utilizing my tablet and phone, I can engage Plotter Sync with my Navionics+ card in my Lowrance unit that has WiFi enabled, as my source for mapping. This frees my Lowrance HDS units for other uses such as sonar, downscan, sidescan or 3D. As I scan over an area I have chosen to scout from my previous map study, I can mark my waypoints on any structure or fish on my app for further even review. Information is power and logging your information gives the power to you. When I am on the water, I mark everything and look for patterns and uncharted structure or cover. Unfortunately for me but great for many, only available on the iPhone or iPad, the Navionics app has a feature called Timeline. With Timeline, you can look back at your trips in the tracks and see photos taken while tracking as well as Navionics panoramic images. I hope they have it for Android in the near future. For now I have to use my Lowrance HDS unit and that is much less portable. I must say, I am quite impressed with the Navionics line-up of mapping options. I know you will find the right one to meet your way of fishing, boating or recreation. NextWhy Title Sponsor a Tournament Angler?